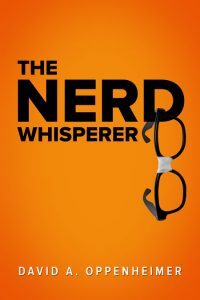 Beetiful had the pleasure of designing the book cover for The Nerd Whisperer by David A. Oppenheimer, published by Nerd Herder Press. Learn more about Nerd Herder Press by visiting the Nerd Herder Press website. 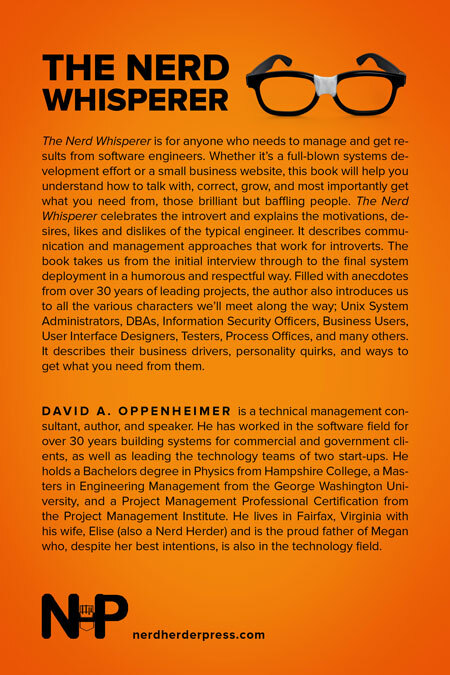 The Nerd Whisperer is for anyone who needs to manage and get results from software engineers. Whether it’s a full-blown systems development effort or a small business website, this book will help you understand how to talk with, correct, grow, and most importantly get what you need from, those brilliant but baffling people. 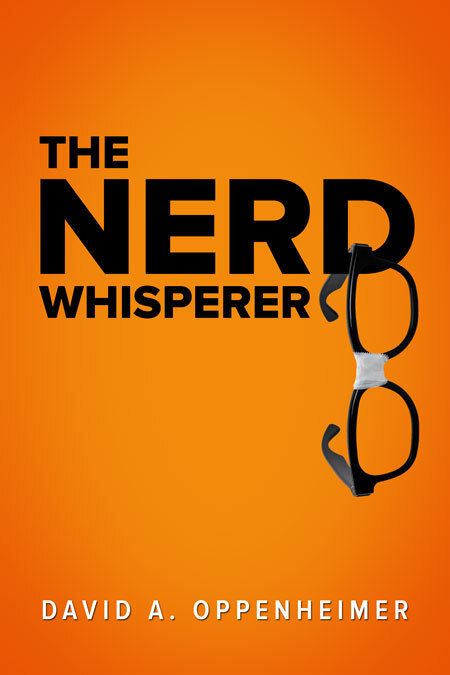 The Nerd Whisperer celebrates the introvert and explains the motivations, desires, likes and dislikes of the typical engineer. It describes communication and management approaches that work for introverts. The book takes us from the initial interview through to the final system deployment in a humorous and respectful way. Filled with anecdotes from over 30 years of leading projects, the author also introduces us to all the various characters we’ll meet along the way; Unix System Administrators, DBAs, Information Security Officers, Business Users, User Interface Designers, Testers, Process Offices, and many others. It describes their business drivers, personality quirks, and ways to get what you need from them. 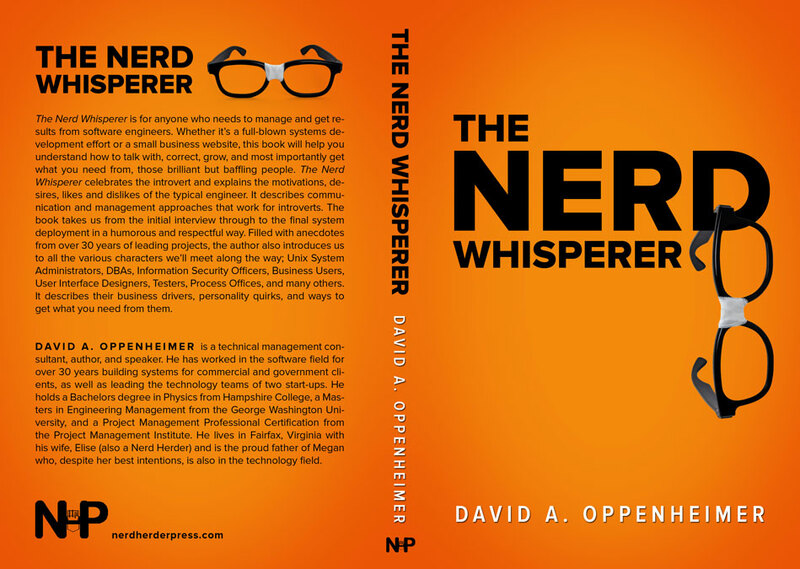 Get The Nerd Whisperer by David A. Oppenheimer today!